Welcome to Sharing Sunday Link Up #35. It has been an interesting week here at the Zippy, to say the least. Not one, single, boring day here but that seems to be the life of those with multiple chronic illnesses. We began the week with a blow transformer in our front yard on Saturday and a good size grill fire on Sunday. Then little #1 developed a nasty virus, and I developed a migraine from lack of sleep, trying to make sure she could breathe. Toss in our babysitting charges and the usual EDS fun and I am ready to start a NEW week for sure. How about you? How was your week? 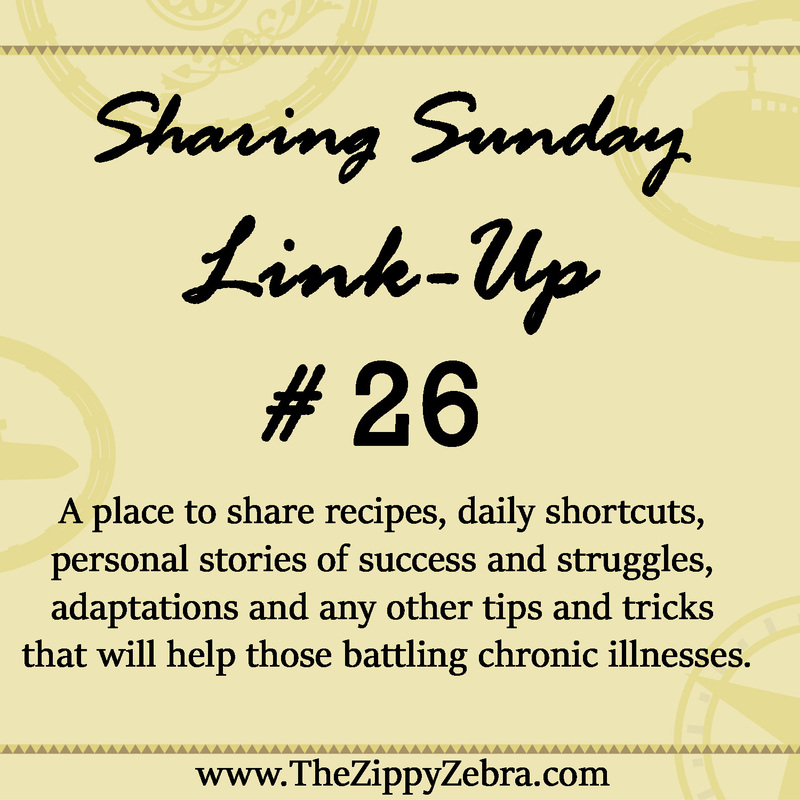 What exciting things happened in your life that you could share? What is something positive? We managed to spend the day rummaging and thrifting for a much needed stroller and homecoming dress despite the ongoing headache and back pain, AND we found both in great condition and within our price range so WIN! WIN! here. What can you celebrate? I hope you are enjoying the last weeks of summer as pain free as possible. We here at the Zippy have taken most of the last week off and spent a large portion of it with friends and family in our hometown. We hope to continue to enjoy our “mini vacation” before we return in September with personal updates, new info, ideas and stories. In the meantime, check out the posts below. Thank you for responding quickly to our presence in the E.R. Thank you for taking the time to listen to the list of concerns and reasons we were there for. Thank you for showing concern when my daughter came in with an elevated heart rate but allowing me to explain the suspected cause and not jumping to conclusions. Thank you for knowing what POTS and Dysautonomia means from the intake personnel to the doctors on staff. 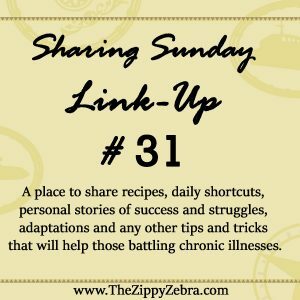 Thank you for having a working knowledge of EDS, Reynaud’s, Chiari, CCI, Mast Cell and the huge list of other comorbids we discussed. Thank you for conducting a thorough exam and not jumping to conclusions or disregarding our concerns without taking the time to discuss the reasons. Thank you for taking our sloppy medical binder and reviewing it completely then sharing it with your supervisor and reviewing it again when we were still stumped. Thank you for spending repeated time on the phone trying to get information from our regular neurologist’s hospital even though she was on vacation. Thank you for stopping me while I was outside my daughter’s room to discuss further medical concerns and not alarm or upset her. Thank you for being as thorough as possible based on the information and symptoms my daughter presented with. Thank you for listening as we discussed my daughter’s inability to receive IV Benadryl and offering an alternative. Thank you for listening when we mentioned that she needed the IV site and IV warmed and on an extremely low delivery rate to prevent other complications. 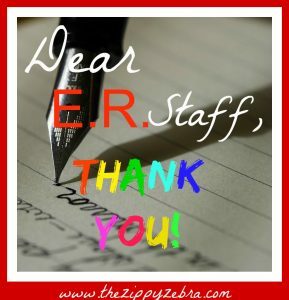 Thank you for returning in an timely manner (after a reasonable amount of observation and testing) to let us know that you were sorry but you could not do anything more to help my daughter in the E.R. Thank you for being willing to discuss concerns we had with leaving and not having a doctor or neuro on call. (All of ours were on vacation). Thank you for discussing our follow-up options, possible causes with patience as we tried to cover all our bases before leaving. 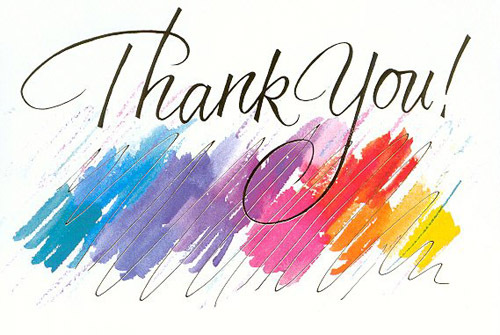 Simply said: THANK YOU for providing quality care, a clean facility and a caring, amazing staff. We entered your facility with justified concerns that had previously been ignored at another E.R. and we were treated with the utmost care and respect despite the unusual way my daughter’s issues present and the challenges she offers to even the most basic care. Thank you for taking all of it into consideration and please continue to deliver such high quality care and service. Note: Because I have something positive say about this hospital I want to be sure they receive the credit they deserve. I want to name them. St. John’s Emergency Room in Springfield. I realize everyone’s experience may be different but overall our treatment at St. John’s has always been excellent both in the ER and at specialty appointments. The doctor’s work well together, communicate and respond to one another within a timely manner. 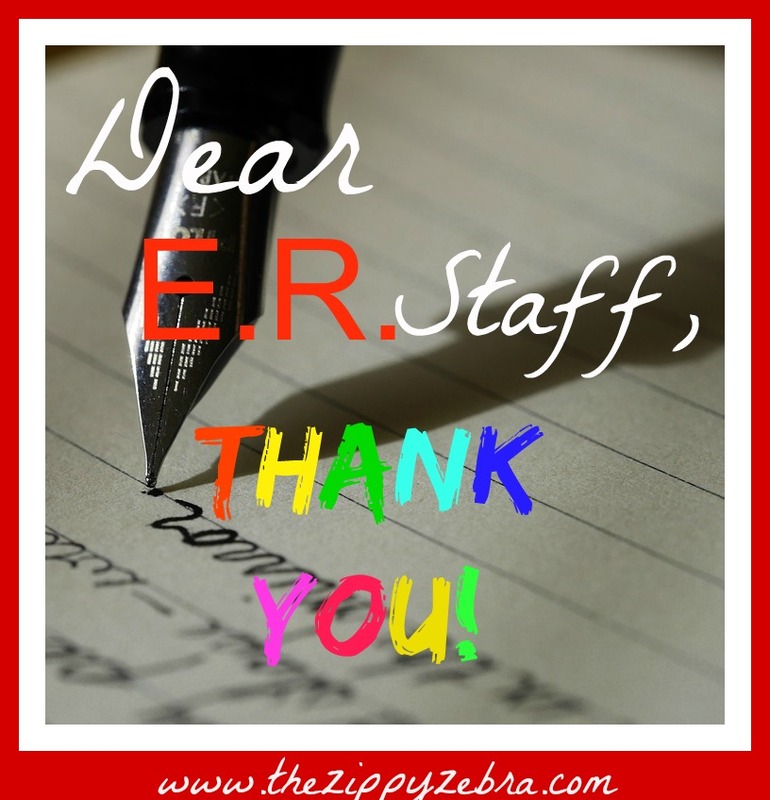 To read the recent BAD experience we had at another ER read the “Dear E.R. Doc” letter I wrote here. 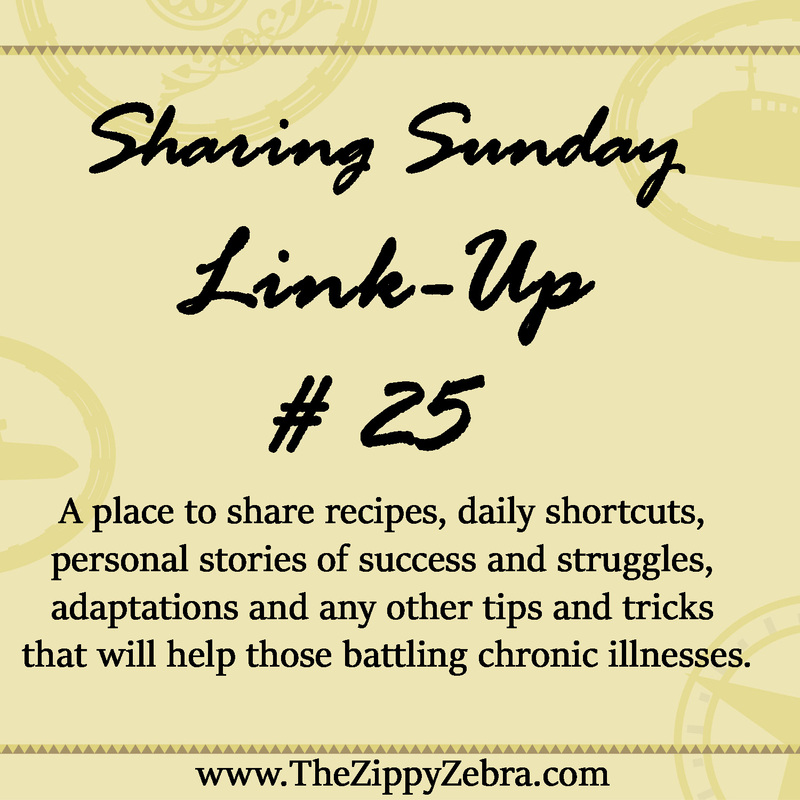 Happy Sunday and welcome to Sharing Sunday Link Up #25! 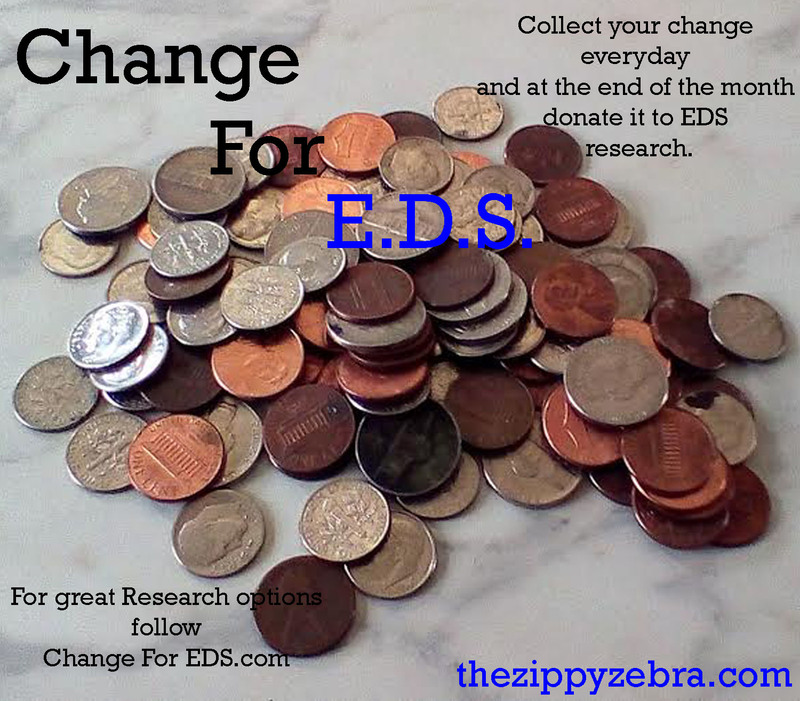 I am happy to announce The Zippy Zebra was able to collect $5.39 in this month’s Change for EDS campaign and will be sending the check out this week!!! How is your Change for EDS coming? Not sure what I am talking about? Click here for details. Not sure how $5.39 is going to make a difference? 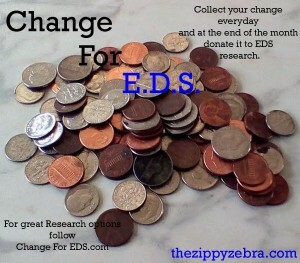 Let’s take a look: If all 300+ Zippy Zebra followers donated their change to EDS each month and it was on average $5.00 that would equal $1500+/month and one year would be $18,000 to EDS research. Imagine what that could do? Life here at the Zippy has been full of surprises (like it always seems be with 4 zebras and their comorbids) but nothing we can’t handle so far. How has your week been? Have you enjoyed your summer? Avoided the heat or embraced the season? Personally we stayed cocooned inside or only venture into the shade due to heat and sun intolerances. BUT enough about us we want to hear about you. This month we would love for each of you to leave a comment below, send an email or comment on our Facebook page with the things you would like to see from The Zippy in 2017. More personal stories, more tips, more of a peek into our daily lives, more articles and websites, etc…? 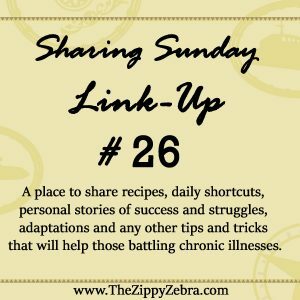 If you would like more tips, would you like daily photos with quick overlay ideas or lists such as “5 Ways to Fight the Heat”, “10 Tricks to Help You Garden”, “25 Things to Make Being a New Mom with a Chronic Illness Easier?” We WANT to hear from you and not just share whatever pops into our little heads. 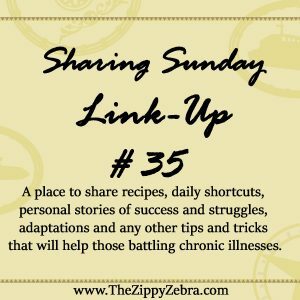 Contributors to share an article a month, week, etc… I cannot offer any kind of reimbursement but credit will be given and you will be helping encourage someone else (without the hassle of running a blog). These can be short stories, feelings, etc… just a contribution from another source. I imagine y’all get tired of hearing from me. 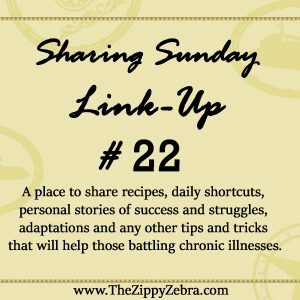 We would like to feature one EDS story per week in 2017. That is 52 stories to spread awareness and help others. With over 300 devoted readers I know we can manage 52 stories, even if you have already submitted a story you can continue to tell the developments or some short stories. All contributors by October 31st, 2016 will be entered in the drawing for a FREE T-shirt and magnet. 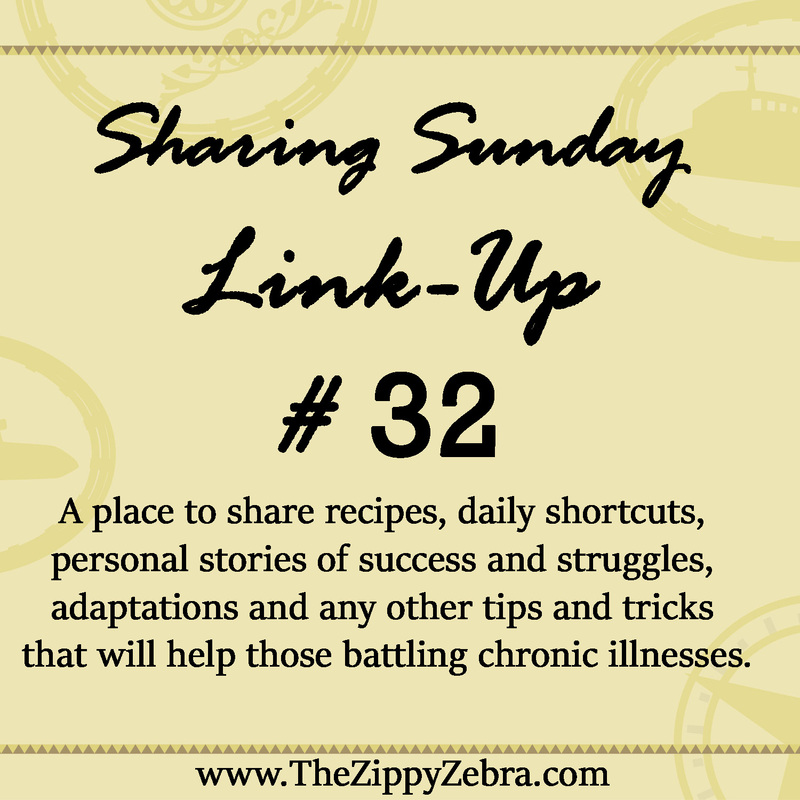 We would also like to feature one Marfan Story per week/month. (Marfan Monday.) Once again we would need 12-52 stories and I would need them by the end of the year. Stories submitted by October 31st, 2016 will also be entered to win a Marfan T-shirt. As the year progresses I will be asking for additional stories for various awareness months: Autism, Cancer, Fibro, Lupus, Chiari, POTS, CCI, etc... These will also be entered into a drawing with the gift to be announced. 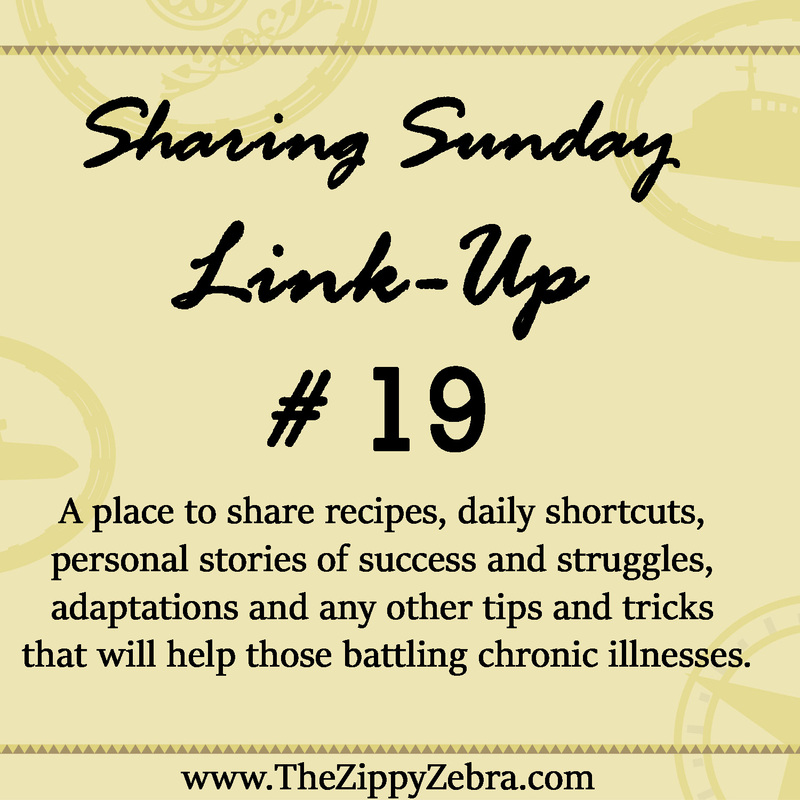 Many of you have offered your story, or to share a life event but have been unable to submit them due to complications. If you can do it NOW is the time. We want to hear from Y.O.U.!!! For details on submissions click here. 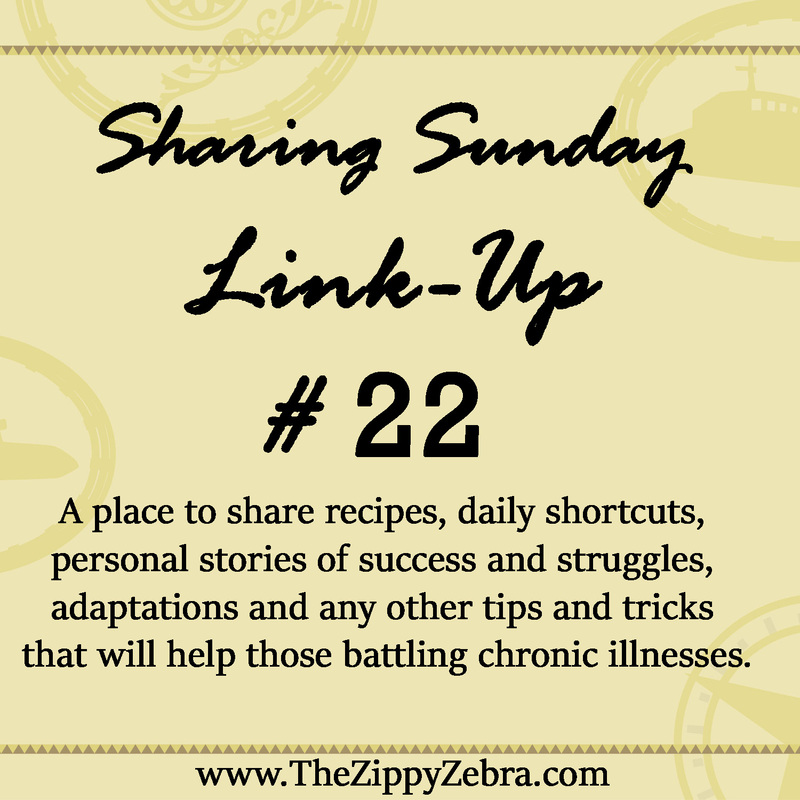 I LOVE fun, crafty, anything goes linkups but the “Sharing Sunday” Link-up is not one of those. During the month of May we have been sharing E.D.S. Stories in our “Real Life Stories” Series. 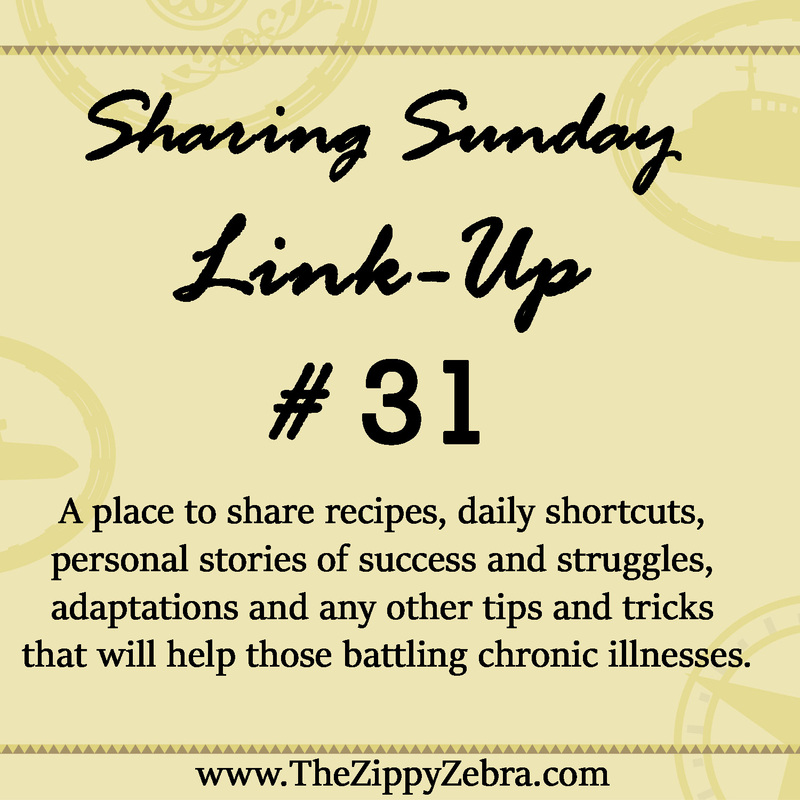 I am thrilled to say that we were able to share 13 personal stories with social media. We would love to have you share YOUR story as well. Details on how and what we are looking for are found on our submissions page. Our goal is to continue sharing at least one E.D.S. story a month to spread awareness and demonstate how it truly affects each and every one of us. We are also wrapping up our online fundraiser on May 31st. 25-30% of all sales will be donated to fund EDS Research. You may click here to learn more. 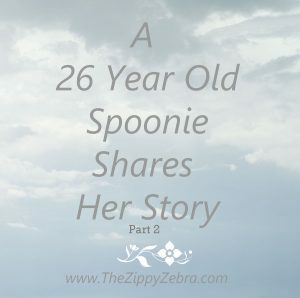 To view the beginning of this Spoonie story click here. 20 years of failed allergy injections are also now behind me; new allergies were diagnosed, but I was able to stop my injections. I actually feel better OFF the injections than I did when I had them. Go figure! Despite increased medical costs in this state, moving to Florida was the best decision I have ever made. As far as my diagnoses go, I have quite a few.